The app that lets you have one-on-one interactions with celebrities and influencers would be more appealing if there were more recognizable influencers using it and credits were cheaper. Everyone has a fantasy of talking to their favorite movie star, musician or influencer. Imagine getting to ask Jennifer Lawrence what her favorite food is, or asking Justin Timberlake about his pet dog. Those fantasies were always just that though: fantasies. 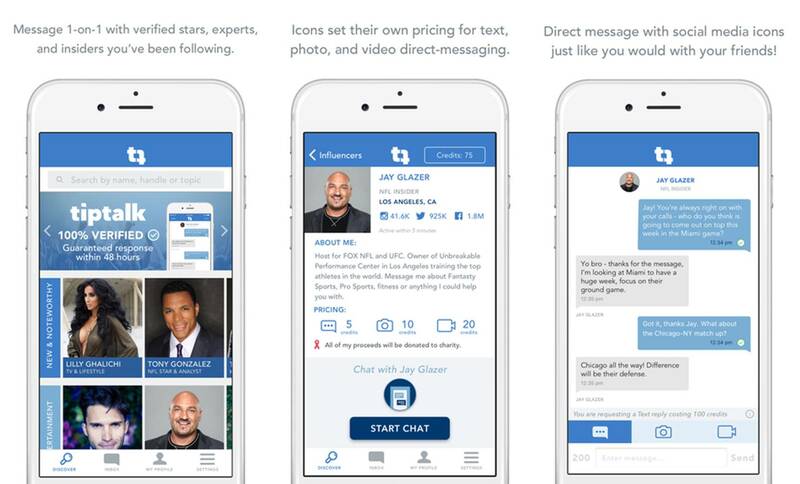 Now, new app TipTalk aims to change that, allowing everyday people to talk to leading personalities in sports, beauty, social media, entertainment and fashion. “That’s awesome,” I thought when I first heard about it. Knowing it was a startup founded only a year ago, I didn’t expect the thing to be flooded with A-listers waiting to chat with me, but I was excited nonetheless to see what TipTalk had in store. The app was free, but having done my research, I knew that it would cost money to actually interact with the influencers, especially since each profile is verified. Each influencer sets their own price for a private response, and fans have 200 characters to ask them anything they want. You can request a message, photo or video, with prices increasing for the nature of the content. The celebrity keeps 50 percent of the money, though many give some of it to charity as denoted by a ribbon on their profile, Apple gets 30 percent, and the company gets the remaining 20 percent. If an influencer doesn’t respond within 48 hours, the fan gets their money back. 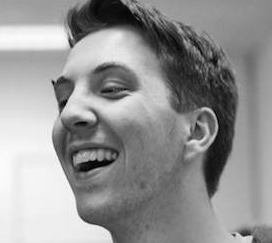 The idea for the app apparently spawned when co-founder Owen Davries was talking to an Instagram star who received thousands of messages from fans, but only responded to two or three a week. When asked how many she would respond to if she got paid, she said she would devote all her free time to it. That spark, though, is missing from the app. If the idea came from having Internet celebrities respond to messages, such as Nash Grier or Thomas Sanders, then why are they missing? I’m sure there are thousands of Viners and YouTubers who would love to talk to their more famous peers and get advice or just ask them a question, but none of them are on TipTalk yet. 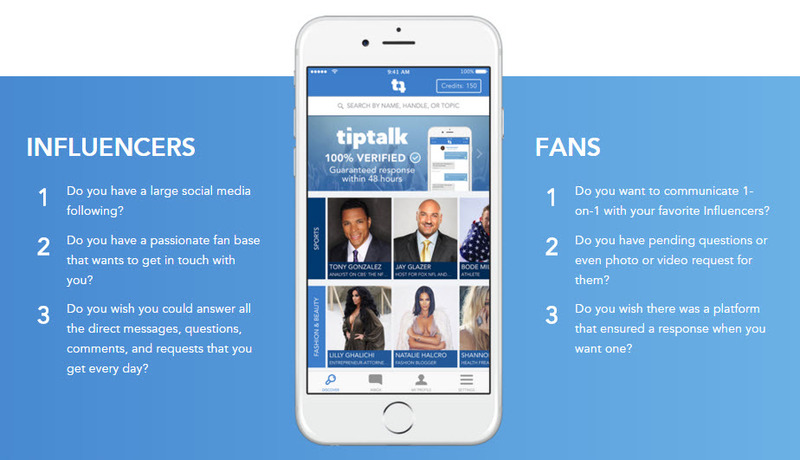 One potential use for TipTalk is asking some of these influencers for advice, which you could do with A-list celebrities, but would work better with TipTalk influencers who seem more approachable because they aren’t overwhelming household names. You could get health and fitness tips from Brett Bartholomew, or fashion advice from Natalie Halcro. Or perhaps you want to ask for advice from John Layke on how to become such a successful plastic surgeon. No matter what, the platform is interesting. Ultimately though, it falls flat without bigger names, and I doubt it’ll gain a big audience without more than a few A-listers (or B-listers?) leading the charge. I would love to be able to get a birthday message from Taylor Swift or tell Jimmy Fallon I love the Tonight Show. Until there are more superstars on there though, TipTalk just feels like lame and unreasonably expensive Twitstagram. They would dedicate all the free time to talking with fans? There is now way, whether they are being paid or not. They could just go a YouTube video a week with a Q&A and probably get paid the same. Seems like fun. I am sure there will be a teenager somewhere spending all her dad’s money on the credits to talk to ANY celebrity on the app. I agree that it might be a little more appealing if there were more signed on.